Bleeding into the space between both inner membranes covering the brain is called a subarachnoid haemorrhage. It usually creates a severe headache that feels like a severe blow to the top of the head. Most subarachnoid haemorrhages happen spontaneously rather than as an effect of a head injury. They’re most common in individuals between the ages of 35 and 60. The beginning of symptoms is usually sudden and without warning. Yet, in several instances, a headache slowly comes on over a couple of hours before the haemorrhage happens. The body may respond by constricting the arteries in the brain, further reducing its supply of oxygen, and this may cause a stroke, perhaps leading to muscle weakness or paralysis. If a subarachnoid haemorrhage is suspected, entrance to hospital must be prompt. Computerized tomography (CT) scan is normally carried out to identify the place and extent of bleeding. performed to look for signs of bleeding into the fluid surrounding the brain and spinal cord. Magnetic resonance imaging (MRI) or cerebral angiography might also be done to look at the blood vessels of the brain. If a subarachnoid haemorrhage is supported, drugs called calcium-channel blockers are generally given to reduce the danger of a stroke. 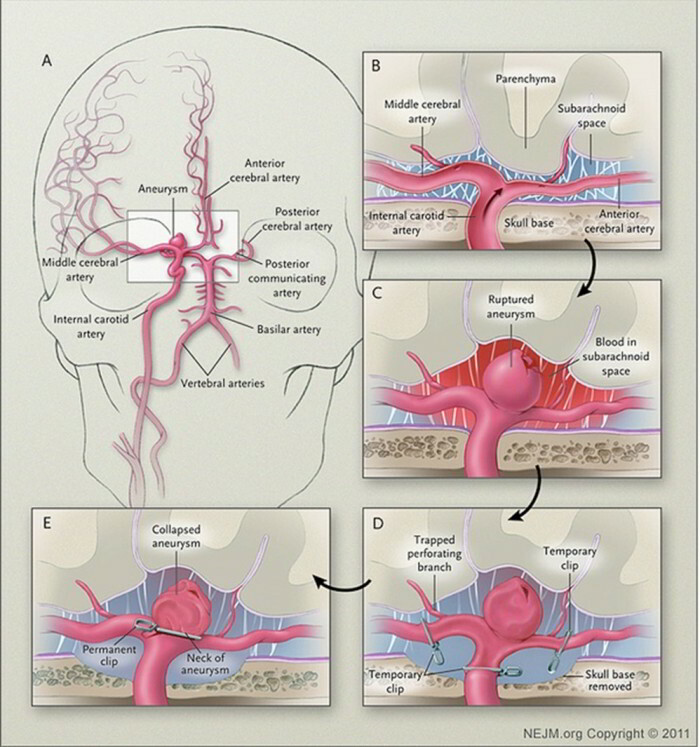 If cerebral angiography reveals that one or more berry aneurysms are present, surgery will likely be needed to remove them. If a further haemorrhage will not happen within the next six months or if operation is successful, additional bleeding is improbable.